I have been looking for an infuser water bottle since I saw that they came out, so I’m so glad I got to try out this one from Personally Balanced Life. I love to drink water to stay healthy but I get really bored with drinking plain water. A lot of those flavored waters you buy at the store end up tasting fake or in some cases just gross. So I was super excited to try this more natural alternative. With this bottle you open it up and pull the tab to pull out the inner tube. Fill it with your favorite fruit combination and place it back in the bottle. Pour in some water and you have natural fruit infused water. I love this particular bottle because it has a convenient handle at the top of the water bottle and I often will loop a string through it to attache it to my backpack or belt loop. I love the design of the bottle, I like that it has a sleek clean look. When I used it I put in frozen fruit in it so it would keep my drink cool and infuse the water all at the same time. The water tasted great and did a great job of infusing the water. It was much better then the store bought flavored water that’s for sure! I highly recommend getting this bottle if you are a fan of flavored water. 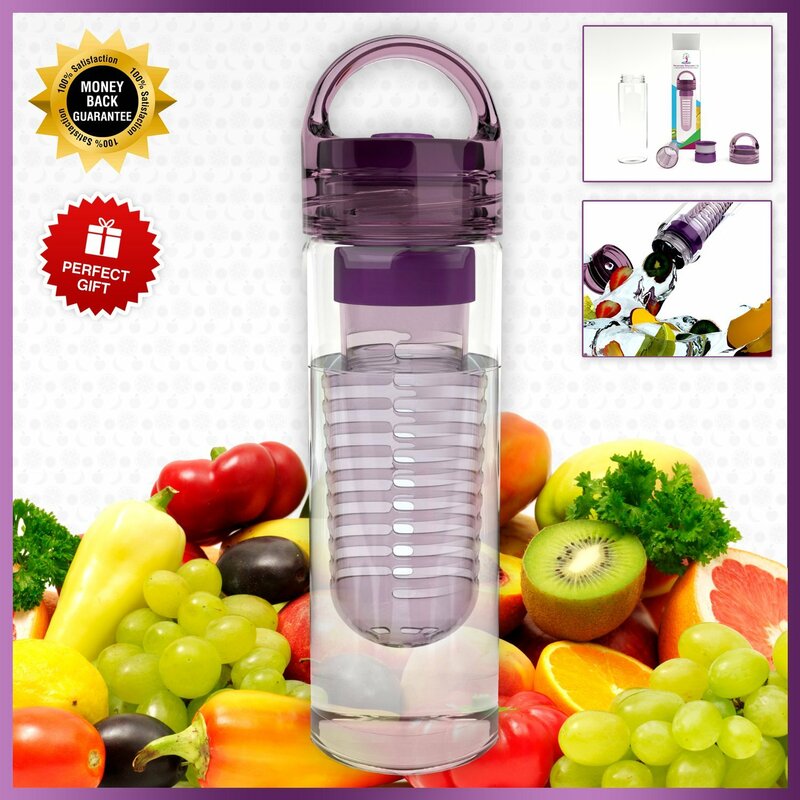 What Separates Live Infinitely’s Travel Infuser From Other Infusion Water Bottles?